The only thing about Amazon and taking over the world are the four big grocery stores – Tesco, Sainsbury’s, Asda and Morrisons. Amazon primarily sells non-essential items (although they are delving into the market with their purchase of Whole Foods), and do not have any physical stores in the UK, unlike the grocery stores. But this just highlights Amazon’s success, as despite having no physical stores in the UK and mainly selling non-essential items, they are still growing and growing and growing. In fact, Amazon is growing quicker than many of its rivals; and its market value is thought to have risen by 22.5% in 2017, in comparison to the total online spend rising 8.4%. This suggests that Amazon are almost certainly stealing share from competitors. Furthermore, it has been reported that Amazon accounted for 33.5% of all UK online spend in 2017, versus 29.6% in 2016. Given Amazon’s phenomenal performance and the limited growth expected from the high street over the next five years, it is no surprise that retailers are keen to sell via Amazon. 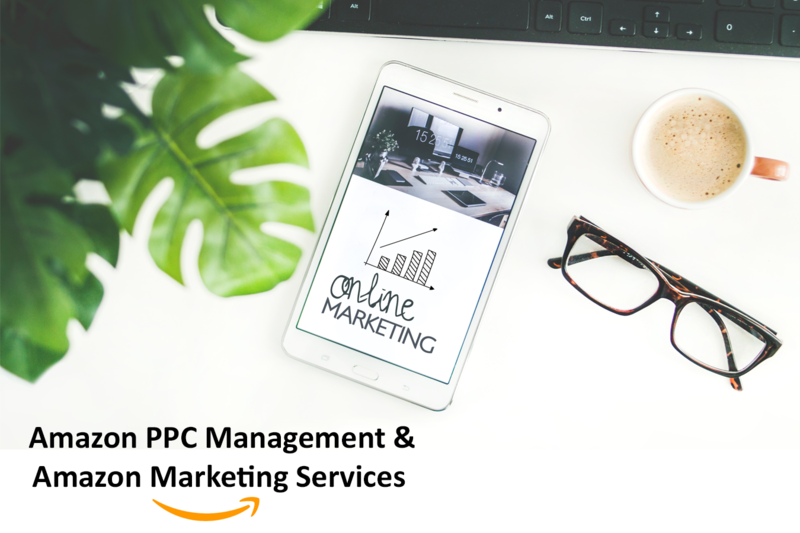 Advertising on Amazon gives you the opportunity to increase the visibility of your products that have maximum potential to sell. We carry out extensive market research to select the best products to be advertised. We gather product intelligence such as keyword search volumes, related product searches and a list of competing products. All of our research is carried out manually and validated via multiple Amazon research tools. Appears at the top of the search, right-hand side, on product detail pages, and below the key features of competing or similar products. These are available to both Vendor and Seller Central users. With Headline Search Ads you can display your products at the top of search results, and across the Amazon site. These are available to Vendor and also Seller Central users with Amazon Brand Registry. These display your products below the buy box, in the reviews section and below key features. You can target your products to appear on complementary or competing products. Available to Vendor Central users only. We also offer set up and account management for sponsored ads in non-English marketplaces including Germany, France, Italy and Spain.